Join the discussion on our forums! Come discuss Val'kyr Soulclaimer over in our dedicated Val'kyr Soulclaimer discussion topic. My Ghoul friend is back and you're gonna be in trouble. Absolutely love the art of this card. If this was like imp gang boss and didn't have the survive clause it'll be actually quite good but as is it's bad..
A "balanced" Imp Gang Boss. Warrior's have better synergy to damage their own minions though. these cards look similar, same artist? This is even better than something like Imp Gang Boss or Imp Master it's basically a weaker version of Hogger, Doom of Elwynn and I think this could be a very cool card. 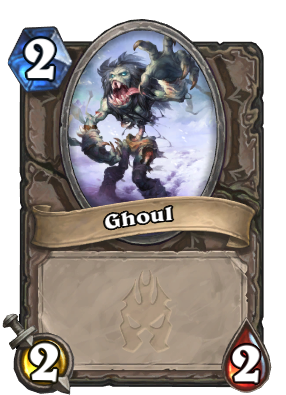 You'd spawn a 2/2, then damage that into a 2/1 and get another 2/2, and then kill the first ghoul and remain with a 2/1 and a 2/2. Can be good in hand-buff decks. Agreed. That archetype doesn't really see play, but when it does, this card might come in useful. We have 1 drop with "deal 1 dmg on play" and a weapon with 2 whirlwinds. Some enrage tacts? Maybe they will give more Rampage alike cards? It reads every time it "survives" damage. That would mean that anything that does 4 or more damage wouldn't proc the effect right? I wouldn't exactly call this meta-defining if that's the case. 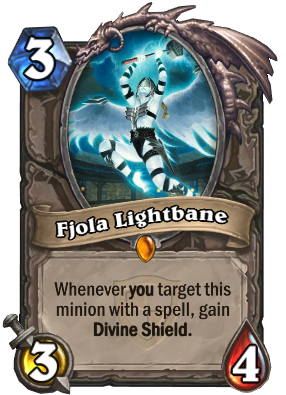 Naturally, this card is pretty good with some buffs to its health. It's all fun and games 'til you have her out, and there are minions with 1 and 2 health on the board, then a 'lock drops Defile on you. I'm still hyped for it - but that's gonna happen, and it will be bonkers.